Moderate Muslim Group Backs NYPD Against Onslaught From Islamist Group CAIR and its Liberal Media Enablers. 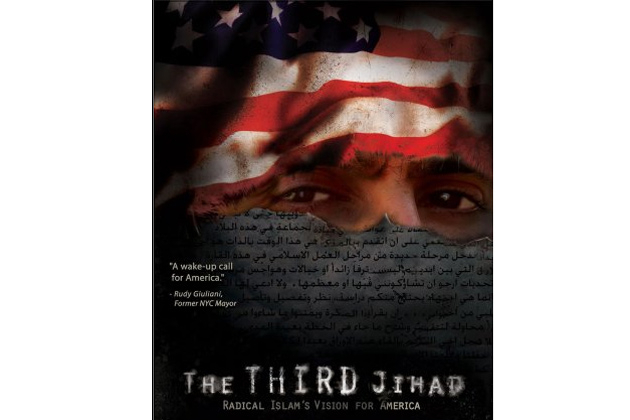 The American Islamic Forum for Democracy (AIFD) Defends the NYPD's Use of The Critically-Acclaimed Documentary The Third Jihad: Radical Islam's Vision for America in Counterterrorism Training. A firestorm manufactured by New York Times (all the news that fits its agenda), and stoked by the Islamist group Council on American-Islamic Relations (CAIR), has forced the New York City Police Department to remove The Third Jihad documentary – praised by former New York Mayor Rudy Giuliani as "a wake up call for America, " and narrated by a devout Muslim who served as a medical officer in the US Navy – from its counterterrorism training. The removal was followed by obsequious apologies and pleas for forgiveness from the department and current Mayor Michael Bloomberg amid further demands by CAIR for re-training and resignations. This is the modus operandi of CAIR and other Islamist groups. Incremental Jihad. Political rather than violent. News conferences not bombs. Today: Tie the hands of law enforcement, fire the chief of police, force obsequiousness to radical Islamist groups. Tomorrow: Replace our constitutional republic with a Sharia compliant Amerika. Our freedoms and way of life subservient to the dictates of Sharia, subject to the whims and threats of the loudest and most radical Islamist groups. 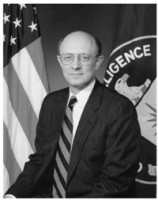 Third Jihad features exclusive interviews with some of the nation's leading counterterrorism experts, including, from left to right, former NYC Mayor Rudolph Giuliani, former Director of Central Intelligence R. James Woolsey, NYPD Commissioner Raymond Kelly, former Director of Homeland Security Tom Ridge and famed historian Bernard Lewis. "CAIR is the terrorist organization Hamas's representation in the United States," explains Claire Lopez, a former CIA officer. "It is an unindicted co-conspirator in the Holy Land Foundation/Hamas funding trial of 2008." Indeed, CAIR co-founder Omar Ahmad once told an enthusiastic crowd, "Islam isn't in America to be equal to any other faiths, but to become dominant. The Koran, the Muslim book of scripture, should be the highest authority in America, and Islam the only accepted religion on Earth." Not to be outdone, CAIR spokesman Ibrahim Hooper was quoted as saying, "I wouldn't want to create the impression that I wouldn't like the government of the United States to be Islamic sometime in the future...But I'm not going to do anything violent to promote that. I'm going to do it through education." AIFD's mission is to advocate for the preservation of the founding principles of the United States Constitution, liberty and freedom, through the separation of mosque and state. AIFD is the most prominent American Muslim organization directly confronting the ideologies of political Islam and openly countering the common belief that the Muslim faith is inextricably rooted to the concept of the Islamic State (Islamism). The story that the New York Times ran this week is over a year old. ... when a new kernel of information was released, CAIR seized that opportunity to reignite the furor. The "shocking" evidence was that 1,500 NYPD officers saw a film that is readily available to the general public and probably already viewed by millions. This effort by CAIR is a blatant attempt to punish the NYPD and Chief Kelly for doing their job and to strike fear in the heart of anyone that does legitimate work in exposing their lifeblood of Islamism. Political correctness has made mere claims of discrimination and racial bias irrefutable and removed the ability for Americans to have honest discourse on religious issues. The Third Jihad is not anti-Islam or anti-Muslim. If it were I would not have been a part of it. For me, it was an opportunity to speak with my co-religionists about the threat that exists to our children and our very way of life. It is a wake-up call for our community to accept our responsibility to fight against an ideology within our communities that seeks to strip us of our Constitutional freedoms. Read AIFD's entire statement here. And give their website some hits here. In 72 minutes, the film reveals that radical Islamists driven by a religiously motivated rejection of western values, cultures and religion are engaging in a multifaceted strategy to overcome the western world. In contrast to the use of "violent jihad" and terror to instill fear in "non-believers," The Third Jihad introduces the concept of "cultural jihad" as a means to infiltrate and undermine our society from within. The Third Jihad producers have issued a response to the New York Times articles and subsequent removal of the film from NYPD counterterrorism training. ... 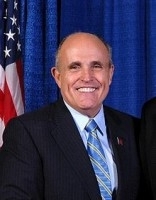 It is clear that senior members of the NYPD saw value in the film, as did employees of the Federal Homeland Security Department, who first gave the DVD of the film to the NYPD. The Third Jihad features exclusive interviews with some of the nation's leading counterterrorism experts including former Director of Homeland Security Tom Ridge, former Director of Central Intelligence R. James Woolsey, former NYC Mayor Rudolph Giuliani, and NYPD Commissioner Raymond Kelly. The film's message urges the Muslim community to look within itself to root out the indoctrination that affects a minority of Muslims. The documentary is founded on credible evidence presented by the FBI of a "Manifesto" published by radicals calling for the implementation of extremist ideology-both violent and politicized-within the United States. CAIR was listed as an unindicted co-conspirator in the 2007 Holy Land Foundation trial, the largest ever terror-financing trial in US History. As a result of these designations, the FBI has formally ceased all ties with CAIR-as should the NYPD and New York Times. The New York Times also inaccurately quotes the film by stating: "'This is the true agenda of Islam in America,' a narrator intones." But the actual quote from the film is: "This document shows the true agenda of much of Muslim leadership here in America." The rest of the New York Times' coverage focuses on character assassination. While CAIR and others label the film Islamophobic, it is ironic that the film's detractors continuously point out that the film's producer has ties to Jewish organizations. The article inaccurately claims that Raphael Shore simultaneously works for Aish HaTorah. Read the entire response from the producers here. Perhaps just as troubling as CAIR's actions are Islamism's liberal enablers in the "mainstream" media. Not only in their dishonest advocacy disguised as reporting that led to the documentary being pulled, but in the way they cover the ensuing "controversy" – and who they cover. 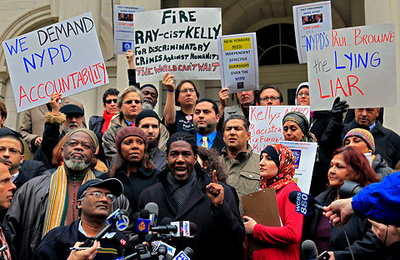 A rally organized by CAIR to demand the firing of NYPD Chief Kelly only drew about 20 protesters -- about one for every microphone on the podium. Notice the Al Jazeera microphone in the middle. A Google News search found 1,011 news articles covering CAIR's calls for the resignation of the NYPD's chief, Commissioner Kelly. This, despite the fact that a CAIR organized rally attracted only about 20 protestors in New York (see photo above). A similar Google News search for reaction from the American Islamic Forum for Democracy produced exactly three articles, one from the Sacramento Bee and others from the obscure OneNewsNow and PipeLineNews. The media portrays the radical Islamist groups as representing all Muslim Americans, while ignoring their direct ties to terrorist groups and sometimes open desire to eventually replace the Constitution with Sharia law. On the other hand, moderate Muslim groups supporting the Constitution and the separation of mosque and state are shunned and marginalized. Call or write your local news outlets and let them know you'd like to hear more from AIFD and other moderate Muslim groups found here, under "Anti-Islamist Muslim Groups." Follow Islamist Watch as we continue to analyze the "controversy" surrounding The Third Jihad in the days to come. Marc J. Fink is Director of Islamist Watch.